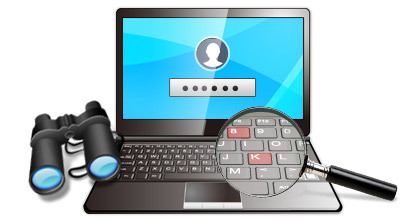 Advance keylogger has everything you need to track and record all users’ activities on PC or over internet. Software is monitoring tool to keep eye on children’s, employees, spouse and other external users PC activities in your absence. PC monitoring program records everything that includes keystrokes, clipboard activities, voice chat conversations, accessed applications along with live screenshots of every PC user activity. Software facilitates system owners to secretly send logs at specified e-mail address or uploaded via FTP server, to let you check them later without touching the monitored computer. Go to system activities to view recorded keystrokes activities, clipboard content, captured screenshots, application run etc. Click on 'Internet Activities' tab, to view visited website urls, temp files and cookies. Generate reports of keystroke activities, set format, date range and other attributes. Go to settings option, to adjust general, email, log, FTP and security settings. Records keystroke pressed on your PC it may be emails, chat conversation, typed url’s or any application usage by users. Captures screenshots at regular time interval along with slideshow feature to see user activities in sequential manner. 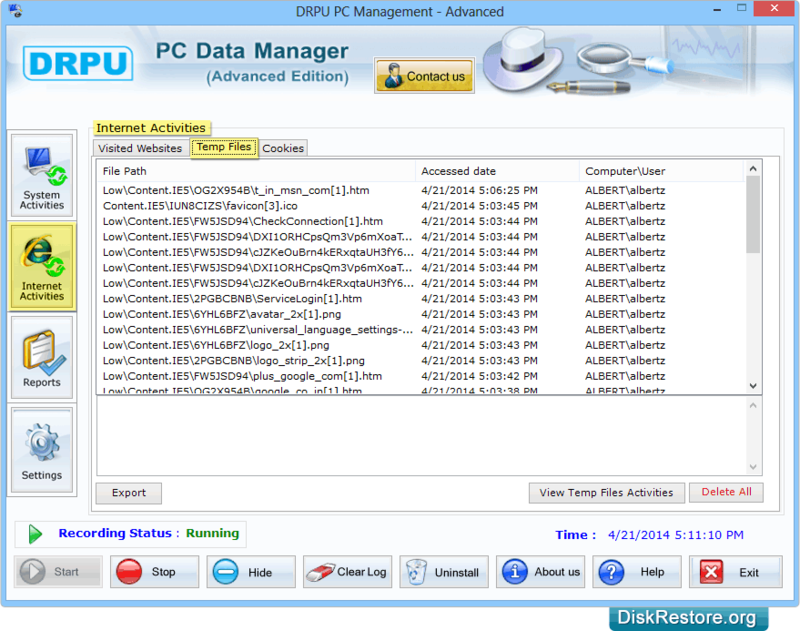 Records clipboard copy-paste activities performed by users on your PC. Records voice chat conversation made over Yahoo, Gmail, Skype or other web based services. Allows computer owner to check user activities anywhere in world by receiving e-mails or uploading via FTP server settings. Works in complete invisible mode, since it is hidden in Add-Remove programs, Desktop items, Startup menu and installation folder path. Easily generate reports of recorded logs in txt or html file formats. 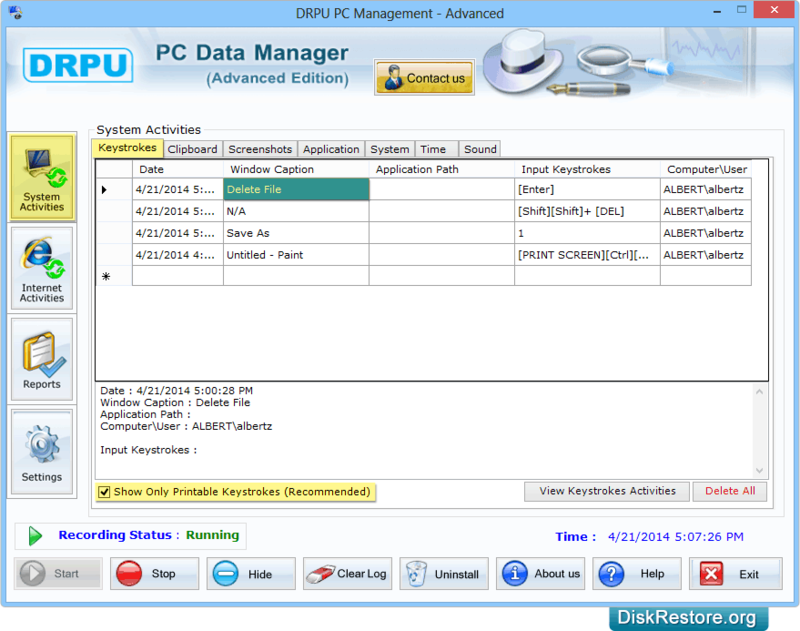 Keep backup of overall system activities for future reference. 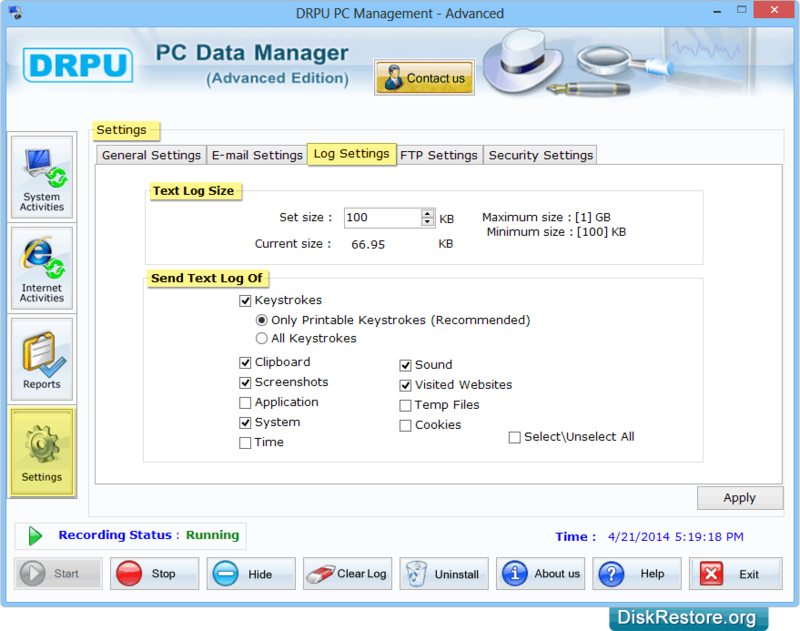 Password protected utility restricts unauthorized users to access logs and software settings. Software running in hidden mode can be easily accessed by Hot key or Run command settings.